Because of the development of modern information technology and all sorts of gadgets, one of the most important areas of work is fixing activities of various electronic devices. If a person broke beloved computer, which also kept substantial information – he’ll necessarily cause an employee of the service center. However, he would not call friends or relatives to search such sort of a company - he will turn to the Internet. 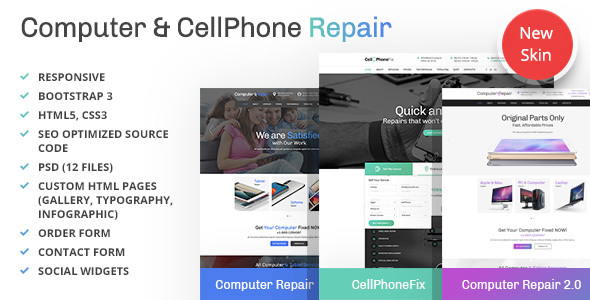 Templates offered by our experts, will allow you to create a functional and modern site for gadgets’ repairing. Firstly we have created a variant called FixIt. 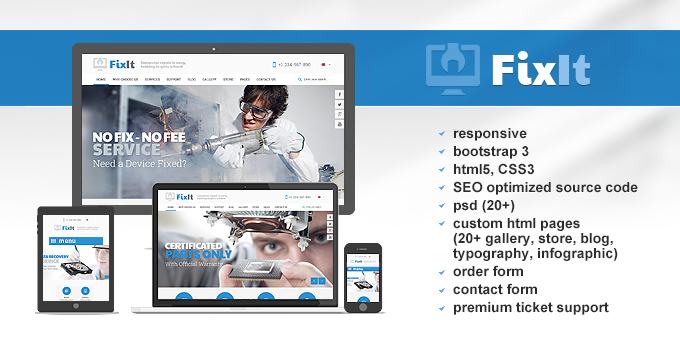 At first glance, the site visitor is attracted by little animated details on the home page. In addition, the placement of photos in the background visually divides the page into easily perceivable units. In general, the designers’ decisions are left feeling of modern and technically modernized approaching to work. Minimalistic design underscores those color blocks, to which the visitor should pay the greatest attention. 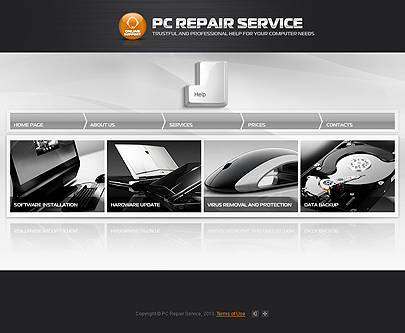 PC repair Services leaves an impression like after watching movies about international hackers - a high-tech design and attractive appearance. 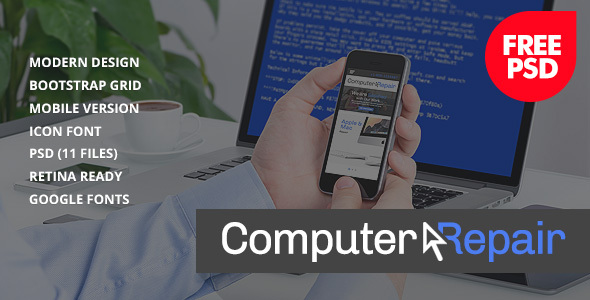 Everything from black and silver background to the button Help, made in the form of the Enter key, accentuate the specificity of performed services. Black and white photographs also fit perfectly into the overall concept, reminding about something exceedingly modern - whether it be computers or sports cars. Color accents that spring up when you move the cursor, draw the user's attention to the relevant menu items. 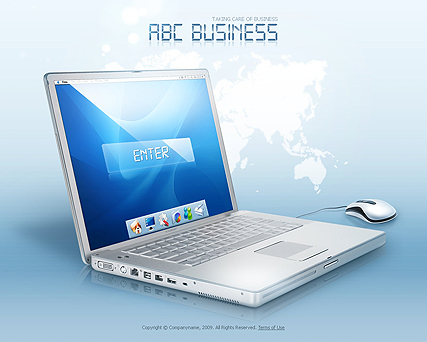 ABC Business basically made in the form of a large computer and creates the impression that user was working in the gadget, while working in the gadget. By clicking on the menu items on the computer screen you won’t be transferred to the next page - the information emerge in a pop-up window. The text is conveniently divided into paragraphs, which are interspersed with photographs.